Another hectic week has gone and I am looking forward to the weekend. No alarms to set, nowhere to be. Just hanging with my girls while Dave works, playing, cleaning, just being. I've made a vow that there will be no TV this weekend. Well, not for the girls anyway. Our usual night time viewing of the Night Garden will remain, but as for any other time? Nada. With the influx of Tafe work that needs to be done at home, I've definitely been guilty of using the TV as a babysitter this week. It's allowed me to get things done, but at the same time I can see the detrimental effect it has on Punky's beahviour by the end of the day. Even if it's just a bit in the morning and the middle of the day while Zee is sleeping, it's definitely causing some issues and I'm making a vow to change things. I myself have been loving MKR this week. Colin! I just love his judging style. It's honest, tough, but fair, and I love it. I've really enjoyed watching him doing this round of instant restaurants and to be honest, you wouldn't see me crying if they gave ol' Pete the flick and gave Colin the regualr gig of judging the instant restaurant rounds. Even Dave, who isn't a massive fan of MKR, but watches it because I do, has said how much better he thinks Colin is in judging and giving feedback. I know I have been guilty of sometimes glossing over the realities of having children when talking to soon-to-be-parents. And I've also been guilty of perhaps underselling the sometimes harsher relaities of life with tiny humans underfoot. I loved this post by Alison at Talking Frankly because I think she has summed up the 'magic' of parenting in only a way Alison could. So worth a read. I think the second paragraph of this post sums up why I liked this post from Maxabella pretty well and it needs no further introduction. So many amazing photographers, so much inspiration. If you love looking at beautiful, heartfelt or inspiring photography then you'll definitely want to get lost in this list of fabulous photographers. Hugzilla totally nails this and smacks down six of the most common myths of the Mummy Blogger. Another blogger who nailed it this week, I'm pretty sure you'll be able to relate to at least one or two of these, even if you don't consider yourself middle aged yet! The designs on these surfboards are so beautiful. I had no idea that surfboard art could be so cool. So there you have it, mine and Rebecca's top picks for the week. 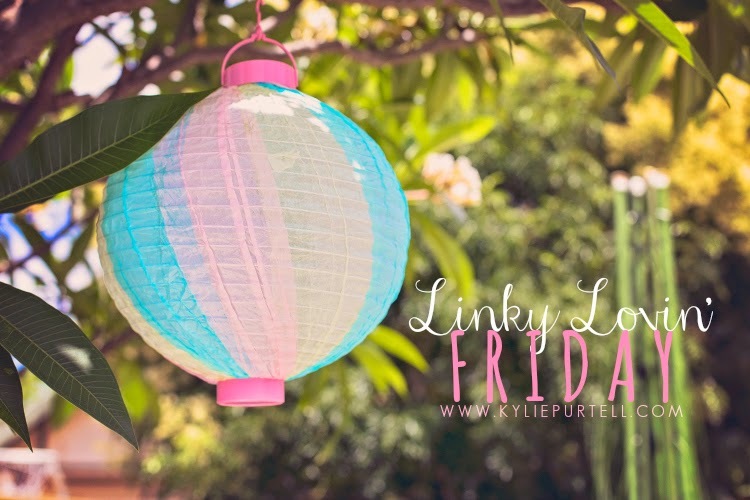 If you'd like to be a Linky Lover for a week and contribute your own three 'pick of the links' one week, let me know in the comments. I'll let you know at the start of the week that you're going to be my Linky Lover and then message you via FB on the Thursday arvo/evening to grab your links from you. Have you read anything cool lately? Hit me up with your links in the comments. Naaaw. Thanks for the shout-out!